Who doesn’t love music by superstars like Carly Simon, Linda Ronstadt, Helen Reddy, Karen Carpenter, and Donna Summer? 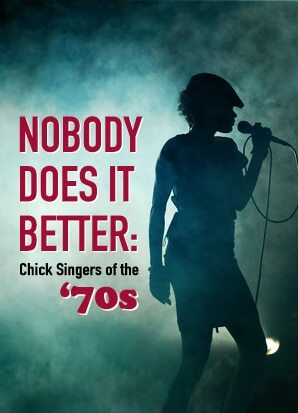 Party on with KERRY HART BIENEMAN, CYNTHIA COBB, SARALYNN EVENSON, and their band as they travel back to the 1970s when feisty females were filling the charts with solid gold hits. From power ballads to dynamic rock, these women have got it covered. After this show, you’ll agree that nobody did it better!